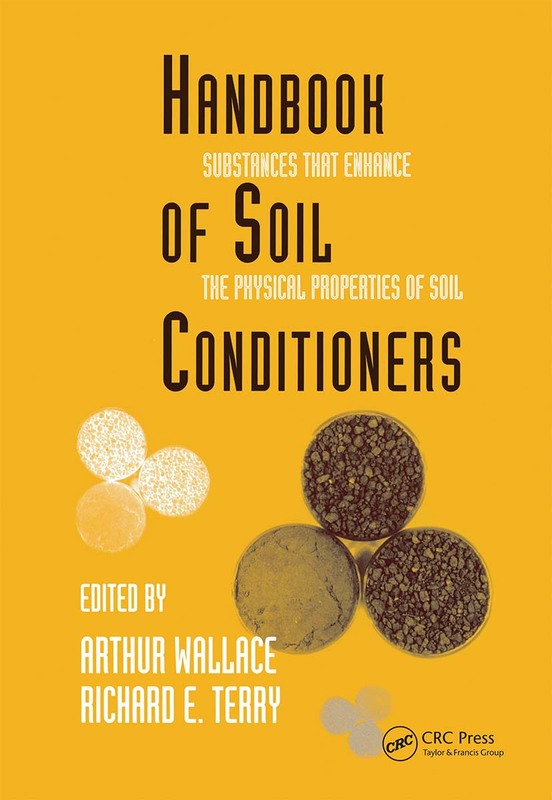 This work features scientific, technical and practical information on mineral, organic and synthetic conditioners, as well as their beneficial effects on the soil's physical properties that promote optimal plant growth, maximize soil fertility, and enhance biomediation processes. It promotes the synergistic use of various agricultural technologies to manage global concerns of decreasing arable land. Soil conditioners: introduction - soil conditioners, soil quality, and soil sustainability. Organic soil conditioners: organic mulches, wood products, and composts as soil amendments and conditioners; paper sludges as soil conditioners; use of manures for soil improvement; use of biosolids and effects on soil properties; cheese whey as a soil conditioner. Mineral soil conditioners: mined and by-product gypsum as soil amendments and conditioners; use of acids and acidulants on alkali soils and water; mined and industrial waste products capable of generating gypsum in soil; testing soils for lime requirements; liming to improve chemical and physical properties of soil. Polymer soil conditioners; designing synthetic soil conditioners via post-polymerization reactions: improvement of sandy soils with soil conditioners; krilium - the famous soil conditioner of the nineteen fifties; some uses of water-soluble polymers in soil; comparative effectiveness of polyacrylamide and straw mulch to control erosion and enhance water infiltration; use of water-soluble polyacrylamide for control of furrow irrigation-induced soil erosion; some living plants and some additional products useful as soil conditioners and in various technologies. Examples uses of soil conditioners: uses of soil conditioners in landscape soil preparation; soil conditioners for sports turf areas; use of soil conditioners to enhance and speed bioremediation of contaminated soil.